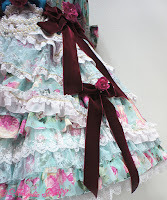 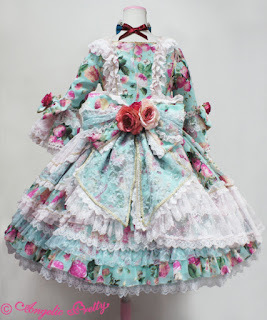 Another dress from the 2017 Brilliant Dress Collection from Angelic Pretty, this one is called Queen Rose Princess. 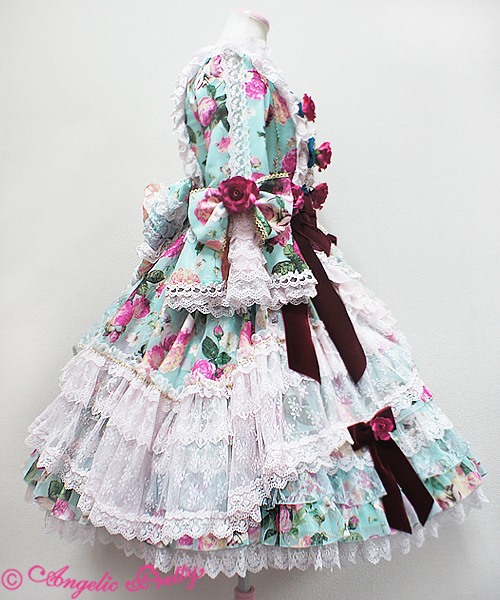 I really like the flower print used, the mint and pink looks really sweet. Though I think it would look better without the wine red ribbons all over the dress. The color doesn't match the print at all. 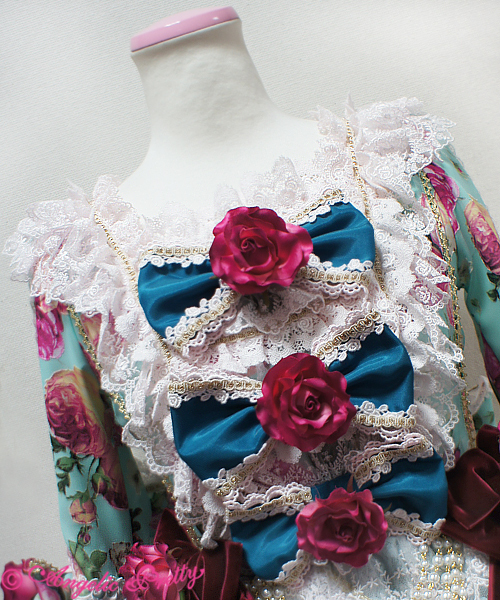 It just feels really tacked on there. The teal on the bodice also looks a bit out of place. The asymmetry of the dress looks really sweet and classic, the cut is really nice and frilly. 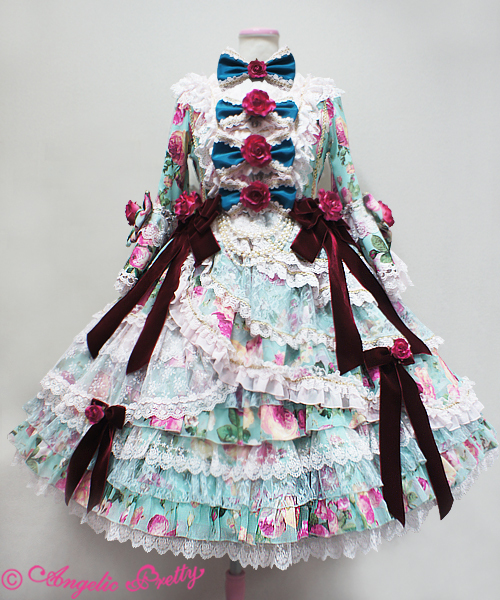 I just wish the big ribbons would be a more suitable color picked from the print, it would make the dress so much better. 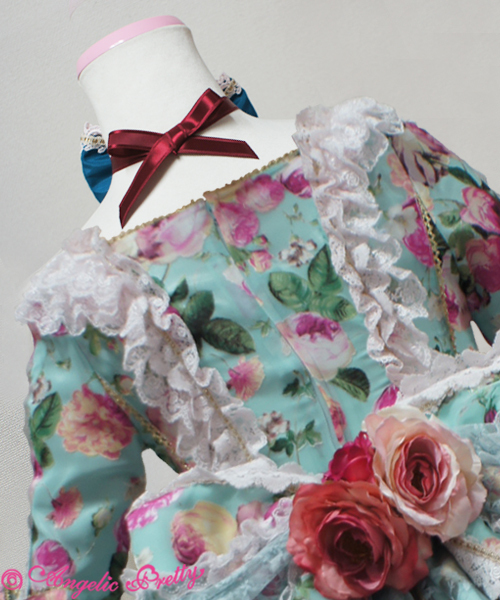 Also the front of the bodice part looks a bit off, the roses in the middle of the ribbons isn't a great look.